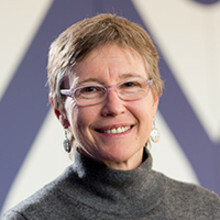 Professor Sarah Biddulph joined the Asian Law Centre in 1989 and was appointed to a lectureship in the Law School in 1992. She is a graduate of Sydney University in Law and Chinese Studies and studied in Shanghai as one of the Attorney-General's representatives under an exchange agreement with the PRC Ministry of Justice. She worked as a lawyer in Shanghai with the Australian law firm Blake Dawson Waldron between 1998 and 2001 and has near-native fluency in Mandarin. Sarah's research focuses on the Chinese legal system with a particular emphasis on legal policy, law making and enforcement as they affect the administration of justice in China. Her particular areas of research are contemporary Chinese administrative law, criminal procedure, labour, comparative law, and the law regulating social and economic rights. Sarah completed her PhD in 2004, entitled The Legal Field of Policing in China: Administrative Detention and Law Reform. Sarah's recent publications include: Legal Reform and Administrative Detention Powers in China (2007) CUP; Examining Practice, Interrogating Theory: Comparative Legal Studies in Asia, co-edited with Pip Nicholson (Brill, 2008); Law and Fair Work in China: Making and Enforcing Labour Standards in the PRC, co-authored with Sean Cooney and Ying Zhu (Routledge, 2013); The Politics of Law and Stability in China, co-edited with Susan Trevaskes, Elisa Nesossi and Flora Sapio (Edward Elgar, 2014); and The Stability Imperative: Human Rights and Law in China (UBC Press, 2015). Sarah is co-chair for the China team in the five country comparative project: Asia-Pacific Dispute Resolution Program: Understanding Integrated Compliance with International Trade and Human Rights Standards in Comparative Perspective, headed by Professor Pitman Potter at the University of British Columbia. Sarah has recently completed a research fellowship from the Australian Research Council looking at recent reforms to the legal regulation of police administrative detention powers in China. This project included an examination of reforms to measures for compulsory detention for treatment of drug dependent people. Sarah received an ARC Future Fellowship in 2013. Sarah’s Future Fellowship project examines the role of law in China in providing justice to citizens complaining about official misconduct. It provides an understanding of the current limitations of legal mechanisms in controlling abuse of power and the implications for rule of law in China. It examines in particular administrative litigation, administrative review and letters and visits and the interactions between them. It also examines the social impacts of failure adequately to resolve conflicts between citizens and government officials.